Get specific about the things that matter to you. Take the time to figure out what it is that you want and make a plan. 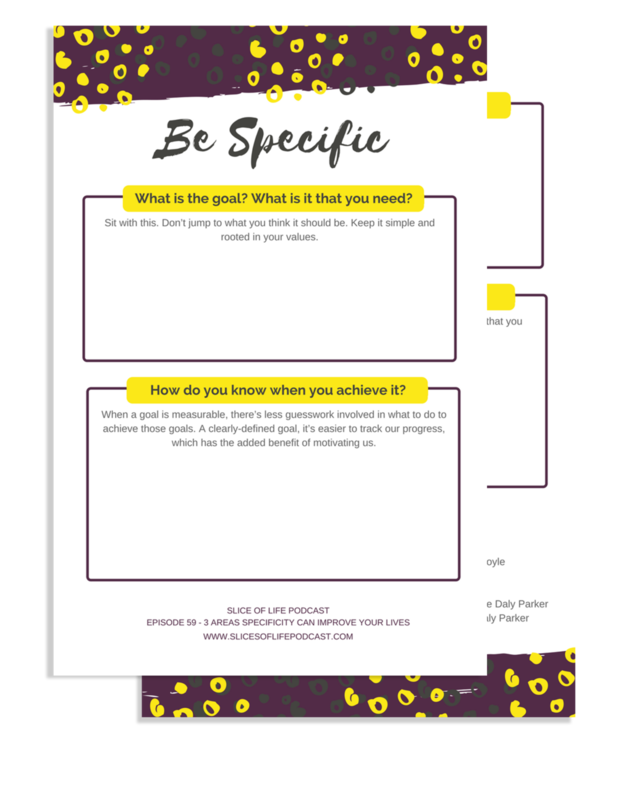 We’ve made this easy for you to do by creating a free worksheet that will walk you through the steps we've shared in this episode. Get it HERE! Get Specific and Start Improving Your Life Now!